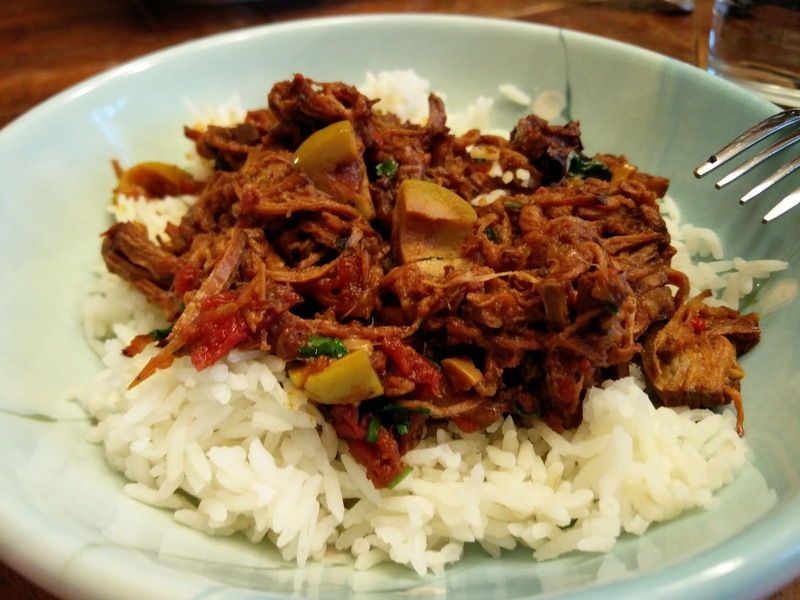 Today we made a quick stewed beef and vegetables in the slow cooker. We love slow cooker meals as they are easy in the evenings. All the work gets done in the morning, you forget about it, and are pleasantly surprised with a yummy meal when you come home. 1. 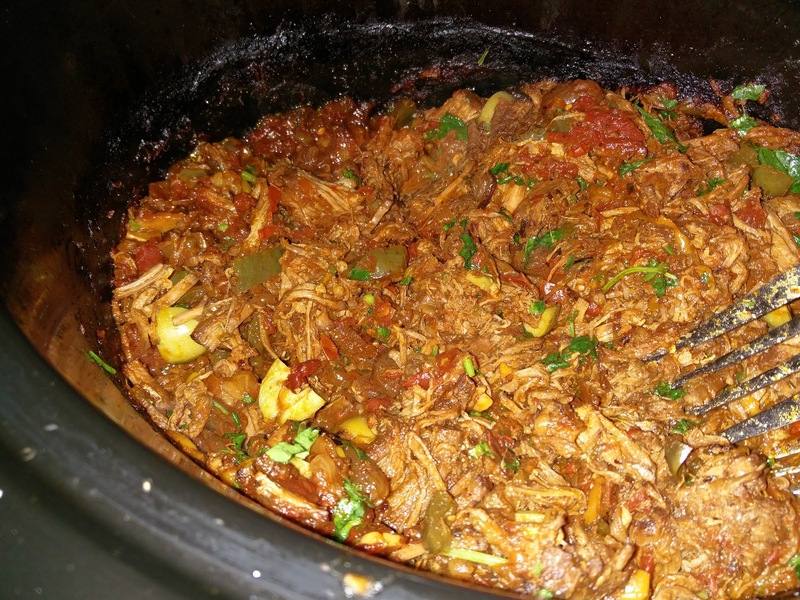 Coat a 6-quart slow cooker with cooking spray. 2. Heat 2 teaspoons oil in a large nonstick skillet over medium-high heat. Cut steak into quarters. Sprinkle steak evenly with 1/4 teaspoon salt and 1/4 teaspoon black pepper; add steak to pan. Cook 4 minutes on each side or until browned. Transfer steak to slow cooker. Add remaining 1 teaspoon oil, onion, bell peppers, and garlic to pan; cook 3 minutes or until slightly softened, stirring occasionally. Stir in raisins; transfer onion mixture to slow cooker. 3. Combine stock, tomato paste, cumin, oregano, tomatoes, remaining 1/2 teaspoon salt, and remaining 1/4 teaspoon black pepper in a medium bowl. Pour tomato mixture over steak and vegetables in slow cooker. Cover and cook on LOW for 8 hours and 15 minutes or until steak is very tender. 4. Remove steak from cooker; shred using 2 forks. Stir steak, olives, and cilantro into sauce. 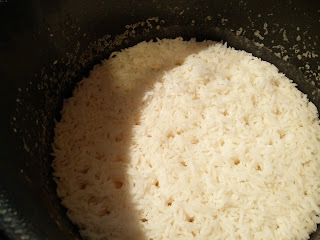 Serve steak mixture over rice. Tasted great, the olives added a nice tartness to it. Put together in about 20 minutes which is nice. The golden raisins were a little odd, they are also not an ingredient that you would just have on hand most of the time. He did not want it at all. It might be better on a sandwich than over rice. No golden raisins.